ELLENDALE, Del. – Four people were taken to the hospital Sunday morning after their camper caught on fire. 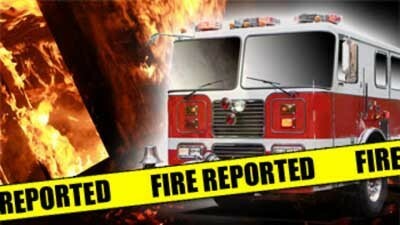 The Ellendale Fire Company responded to the 10000 block of Greentop Road shortly before 8:00 a.m. for a camper fire. The four people that escaped from the burning camper had to receive medical treatment, fire officials say. Deputy fire marshals were called to the scene and are currently looking for the fire’s origin and cause. The Office of the State Fire Marshal reports that one camper trailer sustained heavy fire damage. A family of four were sleeping inside the camper prior to the discovery of the fire. Officials say a 29-year-old man sustained smoke inhalation. A 31-year-old female was burned in the 2nd degree and also sustained smoke inhalation. A 2-year-old girl and a 1-year-old boy were both medically evaluated. All of the victims were taken to the Bayhealth Sussex Campus Emergency Room. The children were treated and released to relatives. The adult male and female are being taken to the Crozer Chester Medical Center for further treatment. We’re told both adults are in stable condition. Fire damage was estimated at $2500. There were no smoke alarms. An investigation into the cause of the fire is ongoing.